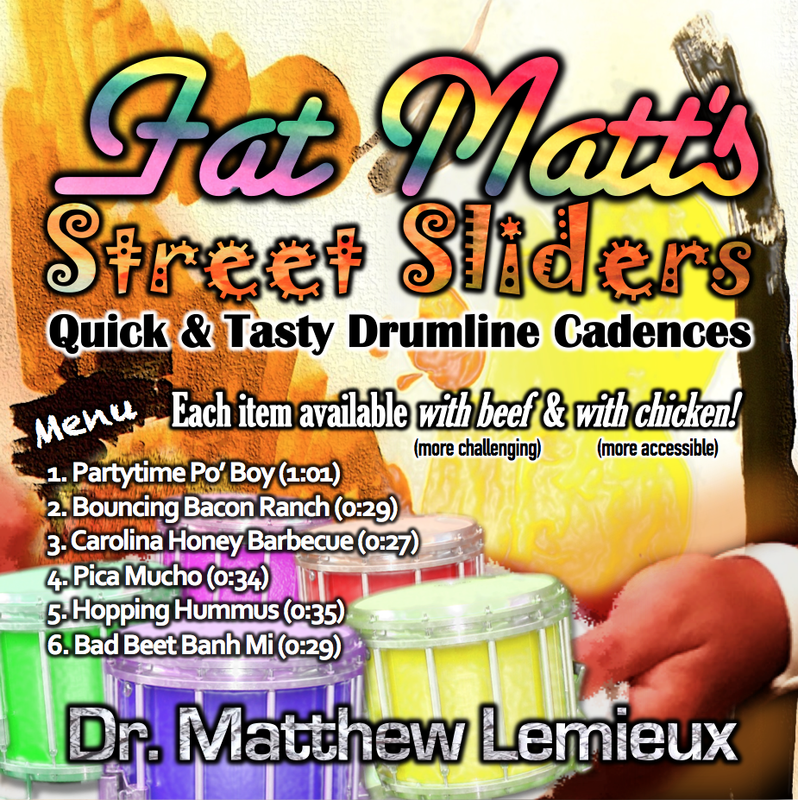 From FatMattDrums: Six quick and tasty cadences, each arranged with beef (a more challenging arrangement) and with chicken (a more accessible arrangement) so that you can always find something that works for you! From FatMattDrums: Thirty-two exercises—accompanied by groovy and original recordings—that will take your knowledge and application of drumming fundamentals to the next level! From Marching Monk: Fifteen cadences in three volumes (or individually) whose vocabulary is broadly accessible to lines with a wide range of skill levels, so you never have to compromise creativity for playability! From mtn-land: Twelve high-octane stadium/arena grooves to really get your audience moving. Whether you've got time to kill, or you're trying to sneak in something quick between plays, these are sure to make a statement! From Tapspace: Eight street beats and six stadium grooves that “contain some of the most advanced rudimental rhythmic content in print today,” so you’ll always have plenty to chew on! This is a collection of exercises based on two main ideas: that certain pairs of rudiments can be thought of as rhythmic corruptions of the same stroke combinations, and that rudiments should be rehearsed with different rhythmic speeds and rhythmic interpretations in order to develop better control of the sticks and a stronger rudimental vocabulary. In addition to your chops, this packet should really stretch your control of thespace between notes and give you a stronger command of your rudimental vocabulary. Quad Damage is a groovy street beat with plenty of advanced soli licks supported by battery impacts that tie everything together, so there's never a dull moment. This is a "new" piece, but all the elements existed in an old Finale file (pre-2011) that I recently dug up, where I had collected ideas that never made it into other pieces. Just a Touch is a simple stadium groove inspired by Judas Priest's "A Touch of Evil" from their 1990 Painkiller album. Execution should be very easy, apart from some scrape patterns in the quad part, and the groove should be very effective. 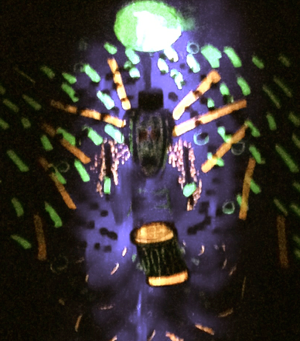 Accent Tap (2008) is a comprehensive two-height warm-up that covers buck figures, accent-tap contexts, singlestroke figures, and paradiddle figures. It was written with the goal of being part of the NCSU Drumline warm-up repertoire, but John wrote an on-field warm-up with more brevity and focus. This, however, is a good long warm-up to work on accents and taps, with some groovy interludes. It's based on Groovement Movement from the original FatMattDrums, and I think it would be a great étude for any level of drumline with time enough to work on the details. Two on a Hand is a double-beat exercise that will really stretch your understanding of time, as well as your stick control on doublestrokes. I always meant to write this into an ensemble warm-up, but I don't think that's going to happen, nor do I think it would pay off much to try and get a whole line to play it. This is a very challenging exercise to get right, but I think it is worthwhile for individual practice.